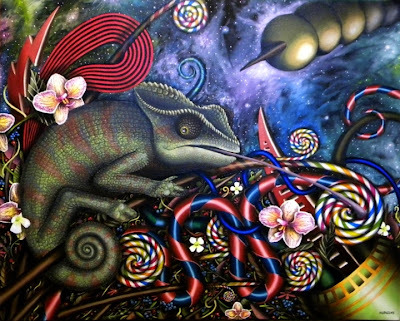 Animals have always been a common motif in art as they help communicate and personify traits, often in very colorful ways. I love painting women and portraits but animals are definitely where it's at for me in terms of capturing color and composition. 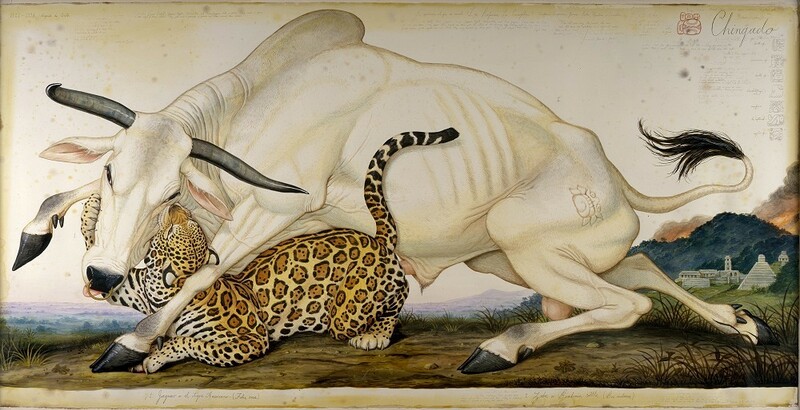 Animals are used in mythologies and tales the world over, and it is interesting to explore these ubiquitous themes. Below are some of the wonderful animal artists I have encountered in recent months, many of these artists' work were shared with me by other artists - they blow my mind and amaze me with technique in their pieces- I really want to own a print from each of them one day! *note: all images in this post are copyright their respective owners- please see captions and descriptions for titles and links. 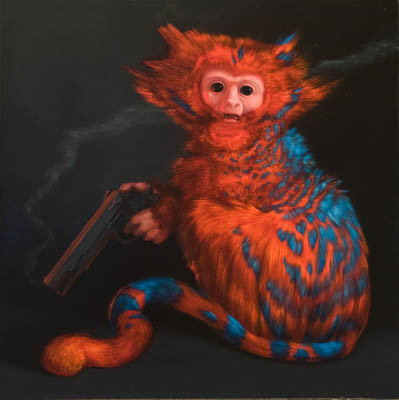 Laurie Hogin creates stunning pieces and my personal favorites are her little monkey/primate pieces- she uses hyperrealistic details, vibrant colors, and unexpected objects to give cute and creepy life to her creatures. 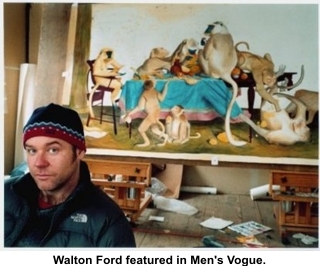 Then there's Walton Ford. How did I miss this guy? Besides smirking like a cutie in his Vogue picture, he creates painstaking beauty of detail and scale. Eight foot tall (and bigger) watercolors. WOW. I am pretty sure he is being studied in art history by now as he is in MOMA and the Whitney, and has also appealed to magazines like Juxtapoz. If you are not familiar with Ford one notable thing with his work is among his famed Audobon-style illustrative beauty is an unrestrained visceral quality- you will see animal genitalia/copulating, consumption, and allegory elevated from wildlife illustration. For the new year I hope to take all this glorious inspiration and put it to good use creating some stunning and insightful animal art. I've already got the ball rolling with some teeny tiny works and can't wait to show you what I'm cooking up! And in case you haven't been told already, Happy New Year!